Bryansk Region has favorable transport and geographic location. 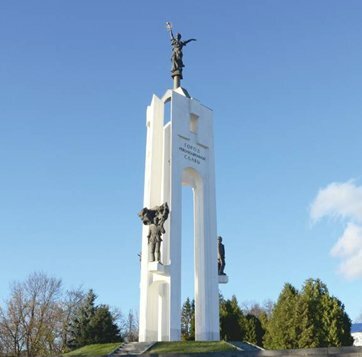 It is located at the intersection of major highways (Moscow – Kiev, St. Petersburg – Kharkov – Rostov, Orel – Vitebsk) at the west of the European part of the country. Area of the region is 34.9 thousand sq. km. The region is a part of the Central Federal District, bordering two countries and four regions of the Russian Federation: in the west it borders with the Republic of Belarus (Gomel and Mogilev Regions), in the south – with Ukraine (Chernihiv and Sumy Region) in the north – with Kaluga and Smolensk Regions, and in the east – with Orel and Kursk Regions of Russia. The region is crossed by five major rail lines with access to Poland, Germany, Slovakia, Hungary, Romania, Bulgaria, the Baltic States and CIS. Bryansk Region includes 289 municipalities: 27 municipal districts, 6 urban districts, 30 urban and 226 rural settlements. The administrative center of Bryansk Region is Bryansk city. The Strategy of Socio-Economic Development of Bryansk Region to 2025 has been approved by the Order No. 604 of the Administration of Bryansk Region on June 20, 2008. This Strategy identifies the major strategic objective of long-term development of Bryansk Region to 2025 as improving living standards of the population to a level above the Russian average index, and the further creation of favorable living conditions through unlocking the natural, geographical, industrial and transit potential of Bryansk Region. The unique geographical position of Bryansk Region, which has direct connections to all the surrounding areas of the Central Federal District, as well as Belarus and Ukraine, involves the active development of transit potential of the region as the territory of the region is crossed by international transport corridors (ITC) No. 2 “East-West” and No. 9 “North-South”. Bryansk Region development strategy provides for implementation of the main competitive advantage of the region and the development of interregional transport & logistics complex (western logistics platform of the Central Federal District), based on the railways and road network, as well as the Bryansk city airport, which is consistent with the basic objectives of the Development Strategy of Railway Transport of the Russian Federation. In this regard, the construction and development of large complexes in the form of transportation & logistics facilities groups along the railways and major roads in the city of Bryansk, and in a number of municipalities, servicing goods & material flows, is quite promising. Creation of the Russia’s largest onshore international multimodal transport & logistics center (MTLC) is suggested as well, for receiving and processing mainly export-import and transit cargos, as well as domestic cargos (industrial and food commodity groups) on the second Eurasian transport corridor “Berlin – Warsaw – Minsk – Moscow – Nizhny Novgorod – Ekaterinburg – Vladivostok – Japan, Korea, and China.” The facilities of the complex are able to process part of the cargo going via the transport corridor No. 9 “Finland – St. Petersburg – Moscow – Kiev – Odessa – Alexandroupolis”. In accordance with the level of district development in the region and the nature of their specialization, construction and development of 10 multipurpose transport and logistics complexes with mid-size cargo handling capacity and one large world-class MTLC is recommended in Bryansk Region, to serve mainly export-import and transit cargos going via ITC No. 2 “East – West” and No. 9 “North-South”. Multimodal (rail and road) transport and logistics facilities with medium capacity are to be placed in Novozybkov, Klintsy, Starodub towns as well as in Unechsky, Karachevsky, Suzemsky, Zhukovsky, Dyatkovsky and Bryansky districts of the region. One of the priorities of industrial development is the development of high-tech industries, electrical and electronic industries. The potential of these enterprises allows to develop and master manufacturing of new high-tech products: medical equipment, railway equipment, grow monocrystals, produce semiconductors, cathode-ray tubes, fittings and assemblies for the aerospace and automotive industry, instrumentation equipment. Machinery and equipment manufacturing is also one of the development priorities of Bryansk Region industrial complex. The main specialization is the production of various equipment for transport sector. Further development and diversification of engineering (primarily through investment mechanical engineering) will provide the basis for a highly developed industrial complex of Bryansk Region. Woodworking is one of the fastest growing activities of the domestic economy. Active development of timber processing is planned, employing existing vast forest resources of Bryansk Region, including production of furniture, wood construction materials, joinery production. According to the Strategy of Socio-Economic Development of Bryansk Region, industrial districts in municipalities are to be created by 2025, and their functioning supported, through the use of developed land with area of 50 to 200 hectares, to accommodate large and mid-sized enterprises, and facilities supplementary to the core activities of these enterprises. Download full Bryansk Region Presentation in PDF format.